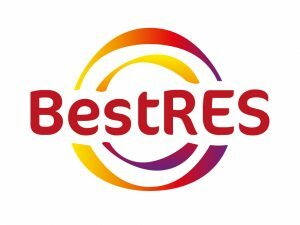 The BestRES project will develop innovative business models for integration of renewable energy sources by aggregating distributed generation such as wind, PV, biogas, biomass, hydro, Combined Heat and Power (CHP) and combining this with demand response and energy storage technologies. BestRES is funded by the Horizon 2020 EU Research and Innovation programme and involves 11 partner organizations that are active in 9 different European countries. The project started in 2016 and will last three years.